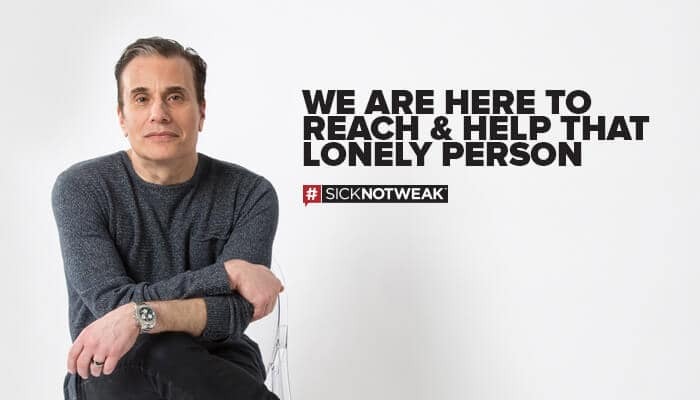 A new partnership between Whole Health Pharmacy Partners and #SickNotWeak is aimed at addressing mental health concerns of Canadian pharmacy patients. The initiative is geared to help provide more resources, education and training for pharmacies across Canada to better serve the needs of its patients who may be suffering from mental health issues. The first initiative, labelled #Here4MentalHealth, is a program geared to raise awareness around patient mental health within pharmacies and the communities they serve. 1. Brochures and handouts created from feedback received from patients so that the information is brought forth by those direct affected by mental health issues. 2. An education day that offers specialized training from a multidisciplinary team that helps to broaden the capabilities of pharmacy professionals. This will help pharmacists provide better support to their patients and respective communities. 3. Peer-to-Peer support offering within the pharmacy that provides interactive weekly challenges that encourage individuals to share practical tips and advice related to the management of mental health needs of patients. 4. Creating Social media campaigns that highlight the findings of the recent patient research data results and interacting with individuals online about mental health issues. 5. Rolling out an initiative called Mental Health Mondays that asks pharmacy staff to wear #SickNotWeak clothing to build this mental health awareness. 6. And last, but not least, support tools for pharmacists that can be downloaded for free so that they can extend their support and care for mental health concerns that their patients may be experiencing. Since one in five Canadians are affected by mental health problems, the overall goal of this partnership is to encourage pharmacies to have greater awareness of mental health issues and deliver better care so that they can support their patients and the communities they serve.